The showdown for first place on the lakefront wasn't much of a showdown at all. The Nicholls Colonels dominated the Privateers from the jump and claimed their share of first going away, 81-64. New Orleans (12-11, 9-3) fell behind 14-6 early and lost ground at the end of the first half, trailing at the break 35-23. 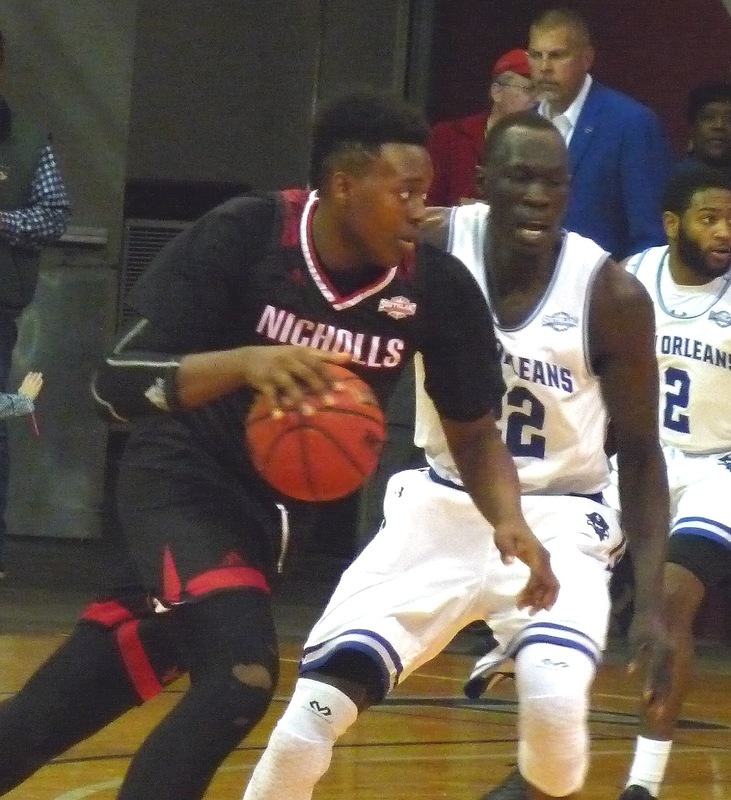 Nicholls removed any doubt soon after, extending its lead to 55-32 before the Privateers were finally able to chip away to some degree. But UNO couldn't get any closer than 10, and the game was never really in doubt. Roddy Peters, formerly of Maryland, led Nicholls' band of transfers with 27 points. Bryson Robinson hit a flurry of late threes to lead UNO with 22 points. Travin Thibodeaux had 20. UNO gets a week-long break before returning to action at Texas A&M-Corpus Christi next Saturday night. The Bucs knocked off the Islanders 61-55 in New Orleans earlier this season.